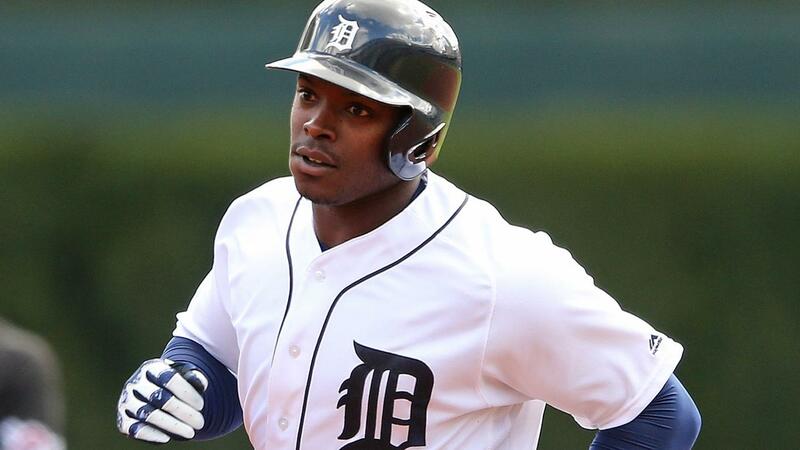 Justin Upton hit a tape-measure drive to center field for his first home run as a Tiger as part of a four-hit attack, supporting Anibal Sanchez through 5 2/3 innings for an 8-2 win over the Pirates on Tuesday afternoon at Comerica Park. J.D. Martinez added a pair of RBI hits as part of his four-hit game and Victor Martinez hit a two-run double to help Detroit build an early lead off struggling Pirates starter Juan Nicasio(1-1) and add on late. Nicasio, who tossed six innings of one-run ball for the win in his Pirates debut last week, labored through three innings and 94 pitches Tuesday. Sanchez (2-0) had retired 10 consecutive Pirates and was an 0-2 pitch away from striking out the top of the Pittsburgh order in the sixth when David Freese's infield single set up Starling Marte's second homer of the year. Three add-on runs off Kyle Lobstein restored Detroit's cushion before Ian Kinsler's seventh-inning solo homer off Cory Luebke put the game away. Upton up and away: Upton, the prized free-agent signing who has fit into the two-hole in Detroit's lineup, made his first home run as a Tiger a memorable one, taking a Nicasio slider and depositing it into the center-field camera well. The estimated 451-foot drive opened the scoring. Rally starts and stops quickly: A two-out, two-run home run by Marte in the sixth inning was followed by a walk to Francisco Cervelli, putting the tying run at the plate in a 4-2 game, but Justin Wilson, who relieved Sanchez, got Gregory Polanco to ground out to second to end the threat. The Tigers would score three in the next frame to break it open.